The Pan-African Council forges new educational partnerships for the Diaspora in Brazil and Colombia. PAC Ambassador to Brazil, Mr. Rodrigo Faustino, alongside the special advisor to the Government for the Campos Prefecture in Brazil, Mr. Rogerio Siqueira have established a cooperation framework for educational exchange in the sciences and humanities with the Republic of Colombia. 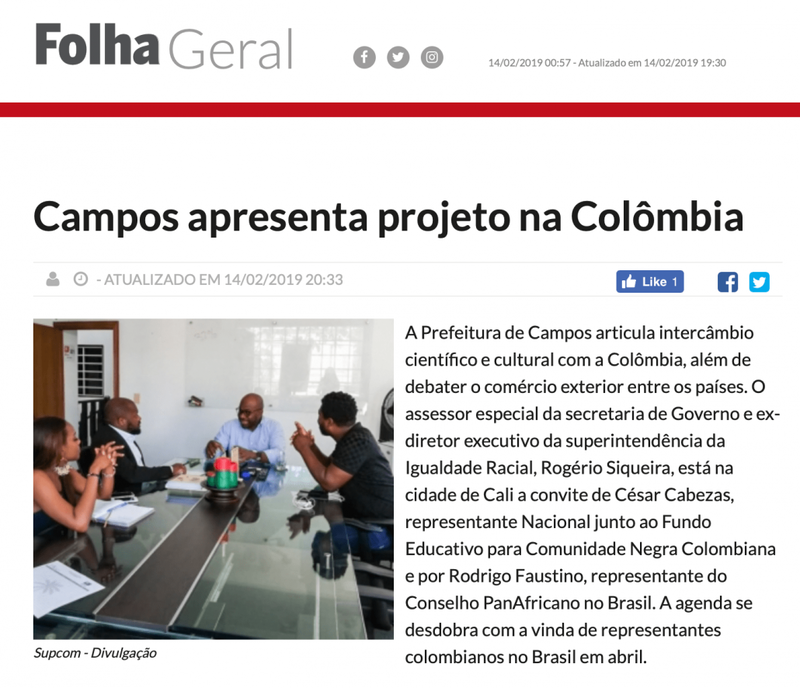 As reported by the Brazilian newspaper Folha1, the Brazilian delegation lead the negotiation with Senator Murillo Benitez and Cezar Cabezas for the establishment of the Campos-Colombia project with the interchange of universities and the inclusion of scholarships especially focused on the African Diaspora in both #Colombia and #Brazil. The cooperative framework will be followed-up in April, with an official visit from the Colombia delegation to the cities of Campos and Río de Janeiro. For the original Portuguese-language publication, please click here. The Cross River State Carnival Commission formally invited the Pan-African Council to participate in the 2018 International Carnival Calabar and Festivals. 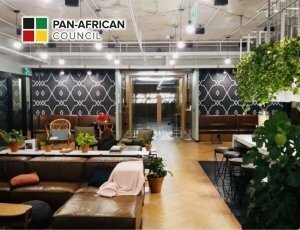 The Pan-African Council announces a new office location in Sao Paulo, Brazil (located at Rua Frei Caneca 1407 – 311, Consolação, São Paulo) in partnership with Ebony English in order to provide resources and better serve the Afro-Brazilian community and the Diaspora throughout Brazil in its development. The Pan-African Council has been invited to consult the African Union at the 2nd Diaspora Focal Points Workshop organized on the back of the Consultative Act of the African Union regarding the African Diaspora. Pan-African Council correspondent to Haiti, Mr. Peterson Saint Jean reports on the latest developments in the capital city of Port-au-Prince as the country mobilizes itself to hold its leadership accountable for the alleged embezzlement of billions of dollars through PetroCaribe. The youth of Haiti has shown increased political awareness and a willingness to make their voices heard, connecting themselves to the global struggle for African liberation.